Of course this does not mean that Donald Trump is right either in opposing an investigation. There is no proof of the conspiracy accusations, but there is good reason for a full investigation to determine exactly what did happen. At this point there are arguments both that the Russians were or were not involved in the hacking of the email later released by Wikileaks. The FBI had previously reported that they found no clear link between Donald Trump and Russia. For whatever it is worth, Julian Assange has also denied that Russia fed the leaked email to Wikileaks. Regardless of who was responsible, it now appears that the DNC became susceptible to the hack due to a typo in an email exchange between Clinton campaign aides. Despite contradictory information, it has become the conventional wisdom that Russia was responsible for hacking the DNC–much like it was once conventional wisdom that Saddam was hoarding weapons of mass destruction. Even if it should be demonstrated Russia was involved in the hack, this does not demonstrate either what their actual intent was or prove any involvement by the Trump campaign. It must also be kept in mind that spying on other governments, and even tampering in elections, are commonplace activities conducted by many governments, including the United States. Hillary Clinton has a history of supporting meddling in past Russian and Palestinian elections, not to mention backing outright regime change in Iraq, Libya, and Syria. Michael McFaul, who served as the U.S. ambassador to Russia from 2012 to 2014, said he thinks Russian President Vladimir Putin wanted to help Donald Trump win the presidency to hurt Clinton. The goal might not necessarily have been for Trump to win. 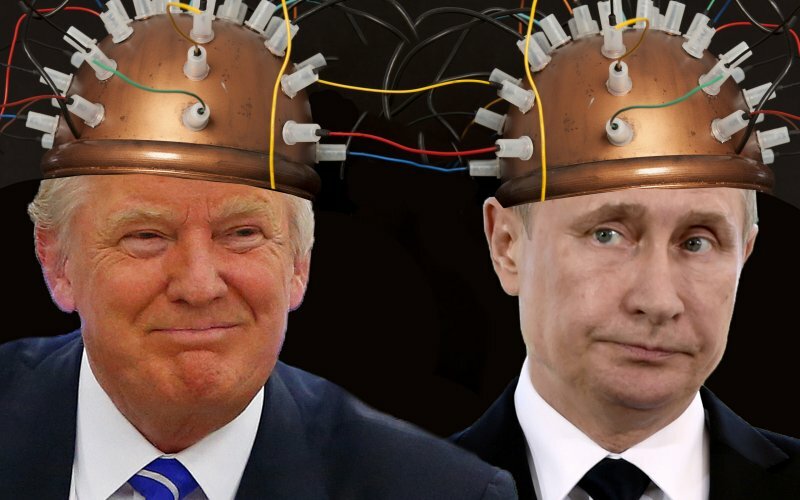 Many observers of Putin and Russian behavior believe that the motive was not to specifically support Donald Trump but to cause disruptions in the election process and cast doubt as to the validity of the election, possibly believing that Clinton was going to be the inevitable winner. If the goal was to create questions as to the validity of the election result, I must say that it was a success. If Russia was responsible for the leaks, it is also a stretch to say that this was the cause of Clinton’s loss considering the many serious faults in both the candidate and how the campaign was conducted. There would not have even been a question of whether the leaks affected the election if not for the dishonest behavior exposed, leaving Clinton and Democratic leaders at fault regardless of any foreign involvement. National Security Agency Director Mike Rogers has also expressed the opinion that the leaked email did not impact the election results. There are many possibilities here and so far we have limited information. Before developing conspiracy theories of a rigged election, we need a full investigation to find out what actually did happen. Picking and choosing a theory based upon its political usefulness is a poor way to arrive at the truth. Posted in Donald Trump, Hillary Clinton, Politics. Tags: Donald Trump, Hillary Clinton, Iraq, Russia, Wikileaks, WMD. RSS feed for comments on this post.. TrackBack URL.